1. Feudalism developed as a political system based on small local units controlled by lord boundby an oath of loyalty to a monarch. Listen to this Computer side chat(11:50). 1. 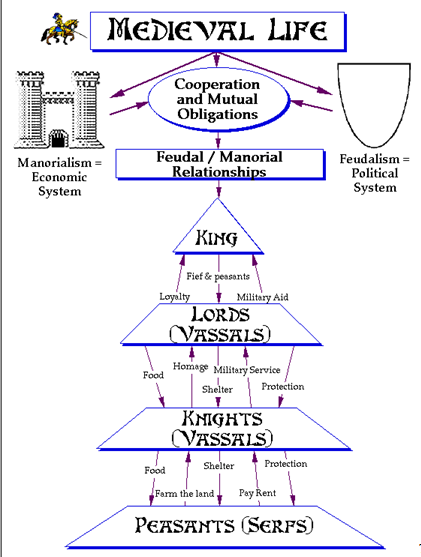 Explain in detail how Feudalism functions. 2. 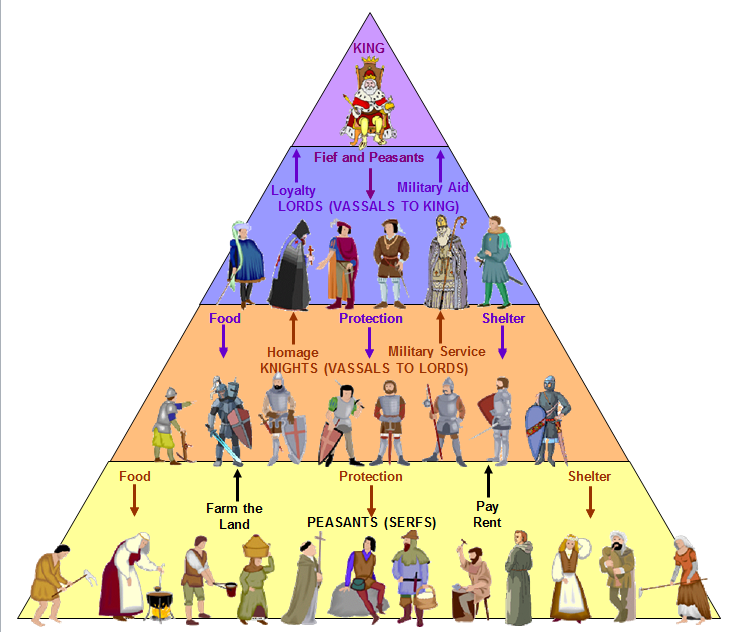 What is your role in the feudal hierarchy? Explain in great detail! 3. What role does religion play in feudalism? Explain in great detail! 4. What were some of the various laws that people lived by? List and explain at least four. 5. What are your Rights? Explain! 7. Why do you agree to live in the feudal system(remember your social role)? Explain! 8. Explain how you fit into the feudal system. In the last entry you created your character and his/her background. Now that you know a little more about how each social class functions within the feudal hierarchy, you need to go into greater detail about your life. A. How do you help other social classes? B. How do other social classes help you? C. Who is in charge of your castle or manor? -Live with a knight or noble? -Local clergy on your manor? D. What type of relationship do you have with the other social classes. ...be detailed and really think about what life would be like in a society where people where so distinctly split into social/economic classes. Typical Manor : castle, church, mill, field, and homes. Thinking question: How are these people working together?